Now you can use these Divinely inspired business tools to succeed with your God-given mission! Writing a business plan, financial model, raising capital, creating an employee policies handbook, sealing a deal with a legal agreement… are just a few of the hundreds of business growth and survival tools you’ll find here. For more than 30 years with 2+ million copies sold, we’ve been providing entrepreneurs and business owners like you with comprehensive and easy-to-use software and templates to fund, build and run their organizations. Whether you need to raise funds, attract clients, manage staff, get their phones ringing with press inquiries, or “all of the above” — our “Business Power Tools” software apps & templates make building businesses easier by providing the structure and tools you need to succeed. Handle a multitude of essential growth tasks all in one place. No Learning Curve. Do it Yourself, Quickly, Easily… and Save a Fortune! Designed for start-ups, early-stage / growing companies, incubators, SMEs, and the consultants who advise them. You need a good business plan, and investors and lenders will want to see it! A comprehensive business plan gives you the edge with investors and lenders who want to see their money doing the most good. You need a plan — not so that you stick to the plan perfectly, but so that you have something to reference in the midst of all the chaos and distraction. The better organized you are the more capital you’ll attract! BizPlanBuilder writes an investment-grade business plan easily and with beautiful results. Its organized system gives you sample plans, built-in financial projections, and a proven PowerPoint presentation template. Cloud-based – Windows and/or Macintosh. This expands on the strategic plan started in BizPlanBuilder. It’s an expert marketing strategy and planning system complete with a collection of professionally written sample marketing plan templates and worksheets that will inform and accelerate your decision processes. All of these completely pre-scripted templates are easily edited using Microsoft® Word and Excel®. With almost a hundred templates based on successful marketing plans, Marketing Builder enables you to easily plan and build an entire marketing campaign that fits your practice and location. ~ Christian LesStrange, President of FunFlatable Products. 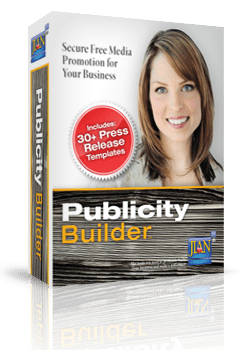 Until you can afford professional PR support, develop and manage your own public relations using this proven Public Relations / Media management system. Learn to nurture those relationships with our built-in online PR Tutorial. Sample press releases for every event – easily edit with Word. Example-filled worksheets help develop your message. Calculators in Excel help with budgeting & prioritizing – just fill-in the variables and print. Scripts to pitch journalists, develop special stories, manage tradeshows & conferences, get interviews, and more. Step x step instructions explain what to do and why. 5) Protect your business from legal actions with a comprehensive employee policies & procedures and a handbook! This up-to-date employee policies handbook creates a productive culture while it protects businesses from labor disputes & lawsuits! Here’s the easy way to create an employee policies and procedures manual to establish your “ground rules” for working for you. The foundation of your business is your people. They are intelligent, well-intended individuals — it’s important to show them that you respect them as people as well as employees. Pre-written sample employee policy handbook includes 200+ employee policies and procedures — eliminates most of the loopholes that other software do not. Developed with HR Experts, attorneys, successful entrepreneurs, and psychologists, this employee policy manual software template ensures that employees are treated fairly and provides management best-practices. 6) Keep your employee records organized and secure! At a time when it’s imperative to keep organized, consistent, and accurate records on all employees, HR File Builder (formerly Employee File Builder) can provide you with the best possible documentation. With all personnel records kept in one centralized system, multiple authorized users can gain instant access to the information they need, when they need it. Evaluating employee performance, making recommendations, preparing reports, and backing up personnel decisions and policies has never been easier. 7) Produce a comprehensive, OSHA-compliant Illness & Injury Prevention Plan! Who can afford to be sued by an employee and/or fined by OSHA? Safety Plan Builder software helps you publish a custom illness and injury prevention and training manual to quickly and easily comply with OSHA, avoid lawsuits, train your employees, and provide a safe workplace. Covers 161 Safe Work Practice categories. All elements of your safety plan are pre-written. Select the appropriate sections for your business or industry, then customize the paragraphs. Menus help you select the paragraphs appropriate to your state. Contains over 250 pre-written pages of industry-specific Safe Work Practices. Publish your complete plan in a few minutes and be safety compliant in all 50 states. Lawyers have better things to do and so do you! You’re going to need good attorneys no matter what, but for now, you can benefit from our business contract collection to help you get started on the right foot. Click “Learn More” to review all of the actual sample contract templates in our collection. 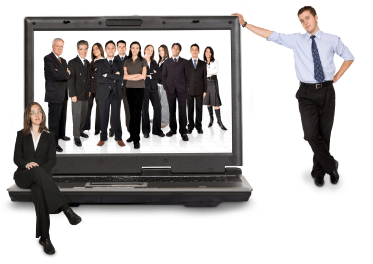 Collaborate with your team and advisors online! The real benefit of the subscription is that it keeps all of these important projects alive and up to date, as well as enabling ongoing collaboration with your team and advisors. You can easily designate an unlimited number of additional users to collaborate with you using password-protected access. Work from anywhere / anytime. Access the entire Divine Business Builder collection for just $29 / mo. Add an unlimited number of users for just $1/mo each! This is our best deal if you’re building or running a non-profit organization. You get access to EVERYTHING on this page! CRM System – Keep track of potential donors, volunteers, staff and others — even projects, deals and calendars. Sample Contract Templates – Sample legal business contract collection. Try it FREE for 14-Days! You’ll see how useful these apps & templates really are and how easily they work! Low subscription price guaranteed as long as you keep it current.